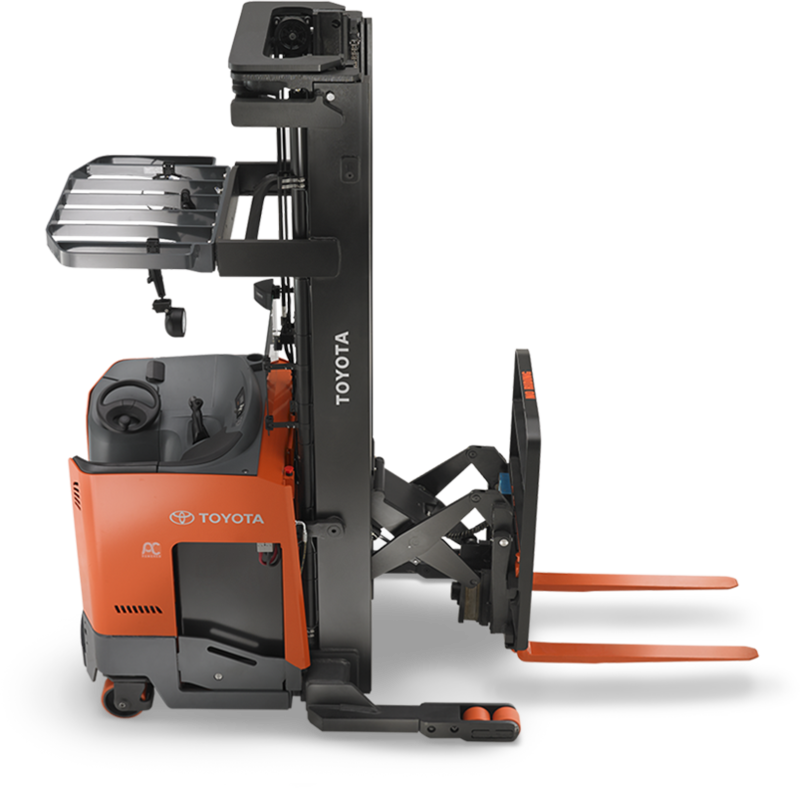 The extremely versatile Toyota Walkie Reach Truck assists in decreasing operator fatigue and downtime by making maneuvering products through the warehouse quick and efficient. 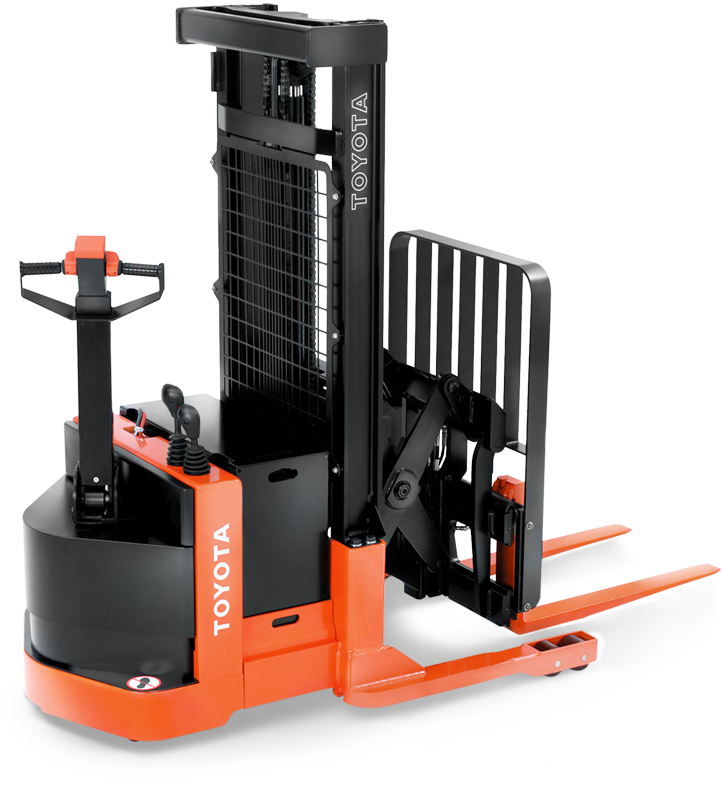 Easy to use and more economical than a sit-down forklift, the Toyota Walkie Reach Truck increases uptime and boosts productivity. Toyota's electric Reach Trucks deliver on efficiency, safety and performance like never before. With many new, unique features coupled with the longstanding productivity, ergonomics and low cost of ownership you expect from Toyota, the Toyota Reach Truck line opens up new opportunities in warehouses and distribution centers.